Lenz Security Ltd - Alarms/Security based in Colchester, Essex. 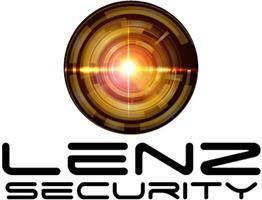 Lenz Security Limited is a Family run Security Company in the Colchester, the heart of Essex. We offer a wide range of services from Installation of Intruder Alarms, CCTV, Access Control and Fire Alarms. We are also happy to be able to take over and/or repair any existing system or expand on an existing system, whether your having an extension built and require more detection for your Alarm, or if you have an office and require more doors added to an Access Control System, we have a solution to suit all. We are proud to be Accredited by SSAIB (Security Systems and Alarm Inspection Board, https://ssaib.org/security-provider/13177/) offering our customers complete peace of mind. We are also able to offer fully monitored Intruder Alarm Systems and CCTV or Self Monitored by App or Speech Dialers. We would be happy to help and exceed your expectations.